The time of the examination is 2.30pm to 5.30pm. 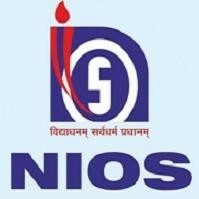 The hall ticket/ intimation letter in respect of the candidates registered for the PDPET Bridge course will be made available on NIOS website i.e nios.ac.in/ dled.nios.sc.in/ one week before the schedule of the examination. The timings of examination are 2.30 pm to 5.30 pm. The untrained in-service teachers are unsuccessful in the previous exams and registered for the 5th D.El.Ed (special) exam can re-appear in the exam on the above schedule. The Hall ticket/ Intimation letter in respect of the candidates registered for the 5th D.El.Ed (special) Examination. This issue with the approval of the competent authority.